Food Runner Needed - Open Call -Every day Obica Flatiron (Flatiron)Obica is a brand of international presence that offers to affluent and sophisticated lovers of fine food and wine, a high quality, innovative, Italian, informal dining experience centered on the freshest Mozzarella di Bufala Campana DOP from Italy, fresh, homemade pasta and other authentic products and recipes from Italy’s rich regional heritage with a contemporary, elegant and captivating style.<br><br>Obica is opening a new Flagship NYC Restaurant in the heart of the Flatiron district featuring an extensive wine list, an expanded menu, 150 seats and private dining area. <br><br>OBICA, Modern Italian Restaurant is Looking for Motivated Experience Food Runner<br><br>We are looking for hardworking, passionate employees.<br><br>MINIMUM OF 3 YEARS EXPERIENCE IN A FAST PACE, HIGH VOLUME RESTAURANT.Obica is a brand of international presence that offers to affluent and sophisticated lovers of fine food and wine, a high quality, innovative, Italian, informal dining experience centered on the freshest Mozzarella di Bufala Campana DOP from Italy, fresh, homemade pasta and other authentic products and recipes from Italy’s rich regional heritage with a contemporary, elegant and captivating style.<br><br><br><br>Obica is opening a new Flagship NYC Restaurant in the heart of the Flatiron district featuring an extensive wine list, an expanded menu, 150 seats and private dining area. 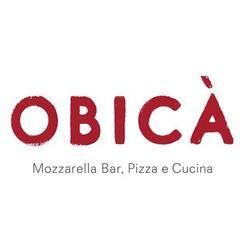 Obica Mozzarella Bar is posting their hospitality jobs on Harri. See what we’re all about.